The following words were offered by Alan Alda in 2001, at the graduation of a friend’s daughter. Alda was referring to a piece written by a Chicago newspaper columnist named Mary Schmich, which was virally circulated on the Internet but erroneously attributed to Kurt Vonnegut. And that’s what makes this Internet event a great image for the age in which we live. There are probably just as many lies going around now as ever before, but these days they’re traveling at the speed of light. There are just as many people who want to fool you into thinking they’ve got it all figured out for you, but now you don’t have nearly as much time to think it over. And with the help of an engine for repetition that works on a scale unheard of in the past, the lies stick. People are still sending around the talk, thinking it was written by Vonnegut. I was sent a copy just last week. It’s a delightful piece of writing. But if it’s presented as if it were by someone other than the person who wrote it, it steals that person’s good name and gives itself a certain credibility before it has a chance to earn it honestly. So, as good as it is, it’s a cheat. At least in the way it’s offered to us. So, you may be thinking, big deal. It’s just a few good jokes. But think about it… It could be selling you anything. It could be a cult religion that could separate you from friends and family, or a quack medicine that could lead you paralyzed, or bogus political information that cause you to elect a numbskull to the presidency. These are great words with regards to the internet and its impact on the dissemination of information – both genuine and bogus – but eerily prescient in view of the political developments of recent years. For what it’s worth, the entire book is a wonderful, human, and relevant read. 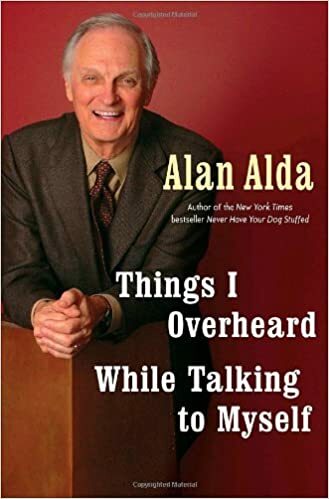 ¹ Alan Alda, Things I Overheard While Talking to Myself (New York: Random House, 2007), 121. This entry was posted in Computer Technology, Politics, Social Folly and tagged Alan Alda, Fake News, Internet, misattributed quotes, Quotes. Bookmark the permalink.